One of the things I mention very infrequently is that I was groomed to be a CEO from a very early age. At IBM, I was part of two programs. One was a unique Tiger Team effort designed to correct underperforming units by eliminating problem executives, and then replacing them with team members until new and hopefully better executives could be found. The other was the firm's grooming program for top executives. Those were on top of my three management degrees and Certified Management Accounting certificate. The IBM programs provided access to a massive amount of resources that detailed both the success and failure of companies at the time, giving me a unique view of what kills a company. One of the big company killers -- and Chrysler before Lee Iacocca is a leading example -- is excess product breadth. That is what we just saw from Apple last week. I'll explain and then close with my product of the week: the Tesla Y SUV, which could be the true breakout car for the company. There are several reasons companies develop a diverse product portfolio. The most common is that they have run out of steam in their core business, so they look to another industry or product category for growth, because it looks easy. The smart way to approach this is with aligned products; interestingly, that is kind of what Chrysler seemed to do. Chrysler was in cars, and cars were in the umbrella industry of personal transportation -- so why not do yachts and executive aircraft? However, the unanticipated problems were significant. One problem was that airplanes must go through a much more rigorous testing process than cars do. Chrysler was not yet familiar with the process, and it was very costly. In addition, the market was dominated by a few players that people trusted their lives to, and Chrysler's reputation for cars wasn't in line with the reputation that was needed for planes. Another reason -- and this one was overarching -- was that both yachts and private jets are premium luxury vehicles. Chrysler's brand wasn't considered to be a premium luxury brand, at least not in the same way yachts and private jets were. They were more in tune with Mercedes or Rolls Royce. It is very difficult to take a brand not equated with extreme luxury and apply it to a luxury market. We recently saw this with the Mazda Amati. Unlike Toyota and Lexus, Mazda tried to sell a luxury car under its Mazda brand and at existing Mazda dealerships. It didn't sell. Finally, it's all about breadth. It is extremely hard to stay up to date on multiple industries, which is why very diverse companies like Sony -- which moved from technology to content, and then went into decline -- have trouble. Every industry has its own unique rules, not only for operation, but regarding how to navigate diverse regulatory, customer and market differences. An executive overseeing the resulting complex mess is virtually always dependent on people who know what the boss doesn't know about an industry, even though they don't really know what skills are needed to do the job. If I were to net this out, the mistake often is that it seems that other industries are attractive and easy to enter, because it's only the results that are apparent. The reality is that every industry is near equally complex, but in different ways. While some appear easy from the outside, the complexity on the inside can be daunting. Executive leadership in those industries often has similar requirements regarding unique skills, education and experience. These skills often don't translate from one industry to another, yet for some insane reason, many feel that if they can manage one industry, then they are equally capable of managing an industry they don't know much about. Generally that isn't remotely true. Apple launched a TV service last week, and it has several other initiatives in development, including an automobile. If we look back to when Apple was in danger of going under -- before Steve Jobs returned -- at the core of the problem was that Apple had too many products in too many different but aligned areas. It had a PDA product, called the "Newton," that was underperforming. It had a digital camera that underperformed. It had a commercial PC line that was underperforming. It had a consumer PC line that was underperforming, and it had a printer line that was underperforming. When Jobs took over, he discontinued the PDA, the cameras, the corporate PC lines, the printers, and pretty much everything but consumer PCs, which kept the lights on. Then he pivoted to the iPod as the strategic platform for the company, put most of his marketing assets and personal efforts behind it, and its success caused Apple to rise from the ashes. During his tenure, he kept the product line focused and simple. The iPod touch was an iPod with a screen. The iPhone was an iPod with phone capability. The iPad was a big iPod, etc. Each new thing built on the expertise, channel and marketing that came before it, and that set the foundation for Apple becoming the most valuable company in the world. Then Tim Cook, who came out of Compaq, another product-rich company that had been in deep trouble before losing its identity in a buyout by HP (which coincidentally is doing well by focusing exclusively on PCs and Printers). Cook has taken Apple back to being an even more diverse company than it was when Steve Jobs took over. It even has diverged from the "iProduct" naming methodology. Currently the HomePod is underperforming. The Apple Watch, which should have had an upside like the iPod or iPhone, is underperforming. The iPad -- largely because Apple pulled marketing focus back sharply -- is underperforming. Its PCs are underperforming. Now Apple plans to add a video service to its music service, and it has both cars and mixed reality solutions coming. In short, Tim Cook is systematically undoing everything Steve Jobs did, and exceeding the amount of product diversity and anti-synergy that existed before Jobs returned. I don't think this will end well at all, simply because the firm lacks the executive breadth to deal with an extremely diverse product line, and this line will dilute Apple's sales and marketing efforts substantially. The lesson I think Apple is going to relearn is that it is best at focus, and it loses its edge when it becomes too diverse. It does kind of amaze me that consumer electronics companies in general just didn't seem to get how and why Apple was so successful under Jobs, and they can't seem to repeat it. Google and Facebook are the exceptions in terms of lack of focus. However, Google makes so much money on advertising that the risk it faces is more regulatory in nature, with potentially huge fines, than declining operational efficiency. In short, Google pretty much has a money machine, and if it doesn't break that, then it can be almost as diverse as it wants to be. So, even Apple didn't really learn Steve Jobs' lesson of focus, and it already has become far more diverse than Chrysler ever was, making it likely that it will drop far faster than Chrysler did -- granted with massive reserves, which Chrysler never had. That is why I think Apple is going down a path than won't result in good news, and the irony is that Sony did something similar with respect to media, and it almost went under. Apple is adding even more complexity than Sony did over time. One of the big problems with Tesla is that it generally has made car types that either aren't that popular anymore or are so complex they are horrid cars to own and drive. People just don't buy large sedans, and even small sedans just aren't that popular, which is why Ford and GM both appear to be abandoning them. SUVs are popular, but the Model X is a complex and relatively inelegant beast, largely because of three things: a windshield that is wicked expensive to replace (around $10K) and so large it is a rock magnet; those great-looking gull wing doors, which are support and reliability nightmares; and a cargo capacity that initially was hurt by the inability to fold down the rear seats, making the X arguably the least practical SUV on the market. The new Model 3 is a fantastic car for the money (though it had a lot of fit-and-finish problems). It is well priced, and it has been surprisingly popular. 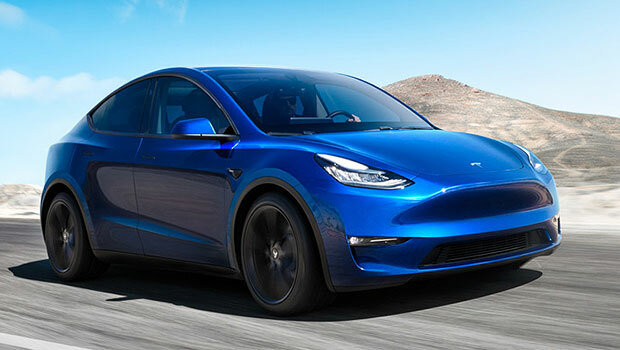 However, the announced Model Y fits the sweet spot of Model 3, like price and performance, and the small SUV is one of the most popular configurations currently on the market. The result should be a market killer with a strong price, great range, nice looks (I still think it needs a front grill because the front reminds me too much of Voldemort's missing nose), and exceptional value. It should be impressive on and off road, and provide great capacity. It also should be the most popular car from Tesla, giving it a real opportunity -- if it can make enough -- of becoming the highest-volume car in the U.S., massively moving forward the related green initiative by reducing carbon emissions (in areas with green power generation) massively. Until now, there hasn't been a Tesla I'd buy, but even with the Voldemort nose, I'd buy this new Tesla in a New York minute. As a result, the Tesla Y is my product of the week (and thank god it doesn't have those damn gull wing doors).